Onboard Software Solutions that welcomes new hires to a fantastic first week. Recruit ATS An applicant tracking system made to streamline hiring. People HRMS All your employee data on one secure cloud-based system. Workmates Intranet Encourage employee recognition and team communication. Content Library Download free resources provided to help you take your HR initiatives to the next level. 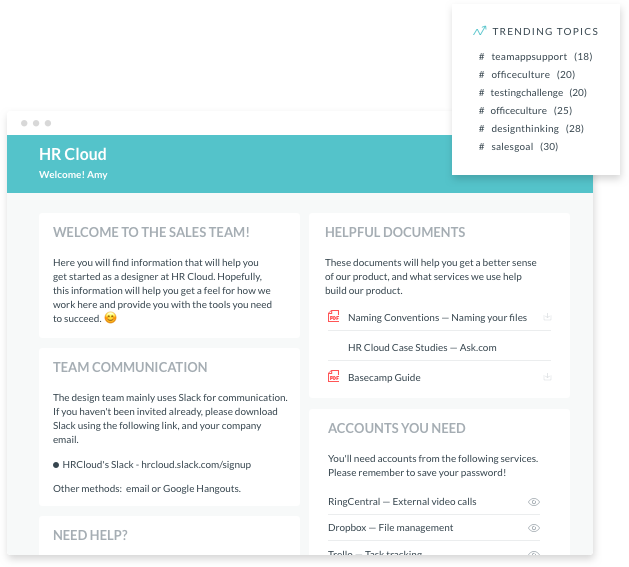 HR Cloud Blog Keep up to date on product updates, tips and tricks, general HR wisdom and more! The path to productive, engaged employees begins with a click. Contact us now to kickstart your internal communications. 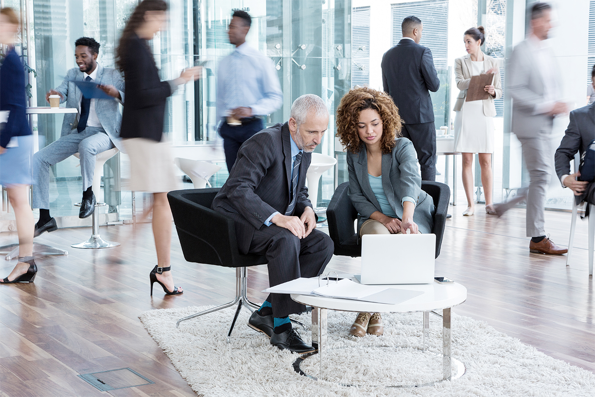 The path to productive, engaged employees begins with a click. Contact us now to kickstart your internal communications. Worldwide, only 13% of employees working for an organization are engaged. Employees who use their strengths, skills, and abilities every day are six times more likely to be engaged at work, 8% more productive. 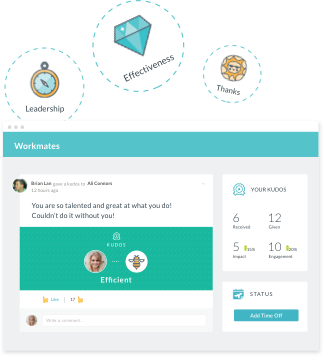 Workmates by HR Cloud is an employee communication and engagement platform that turns coworkers into collaborators. Our corporate intranet system gives you the tools to interact meaningfully with workers near and far so you can encourage cultural transformation and increase communication as your organization grows. 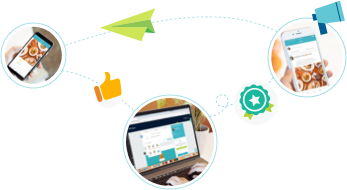 Our software lets you reward accomplishments, share information, and socialize in style--no matter how far flung your workforce is. 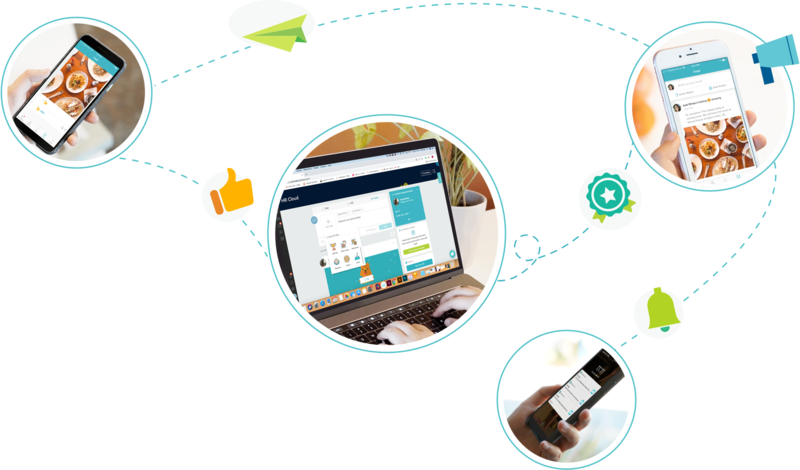 Our intranet solution cuts down on miscommunication and takes the mystery out of cloud collaboration. 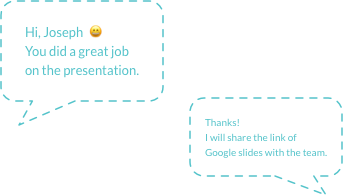 Integrations with Slack and other apps help communication flow beyond the office walls. 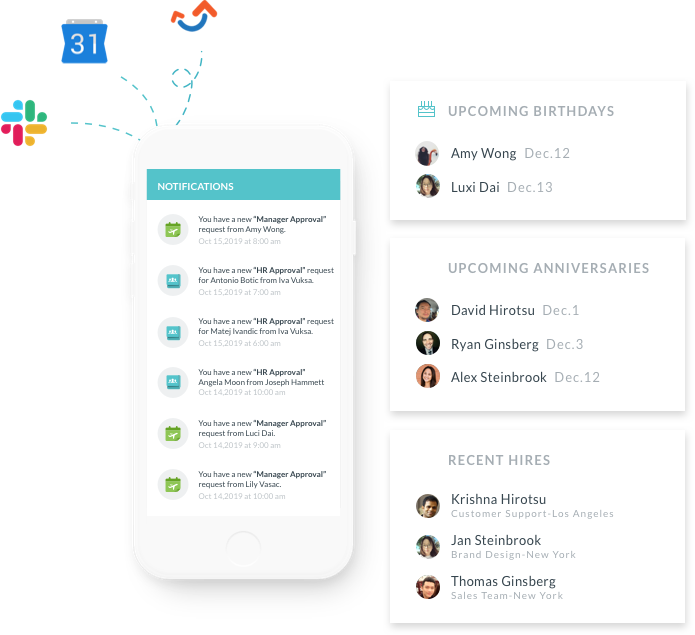 A detailed notification system helps your team tackle to-do lists. And instant attendance oversight and shared calendars keep everyone on the same page even when they might be in different time zones. Connect your team to the information and expertise they need to get the job done. Through personalized portals on desktop or mobile, employees can share knowledge, access presentations on company policy, and compile a repository of information that others can tap into. Keep your workforce informed with helpful articles and trending topics that will keep them current on industry trends. We’ve created an internal social networking software that does praise correctly. Recognize employee accomplishments and motivate more with kudos and prizes. 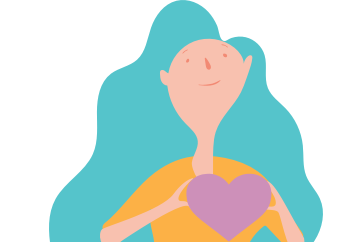 Give a digital high five with customizable badges and other drivers of employee engagement—or reward employees with goodies, like gift cards to their favorite coffee shop. 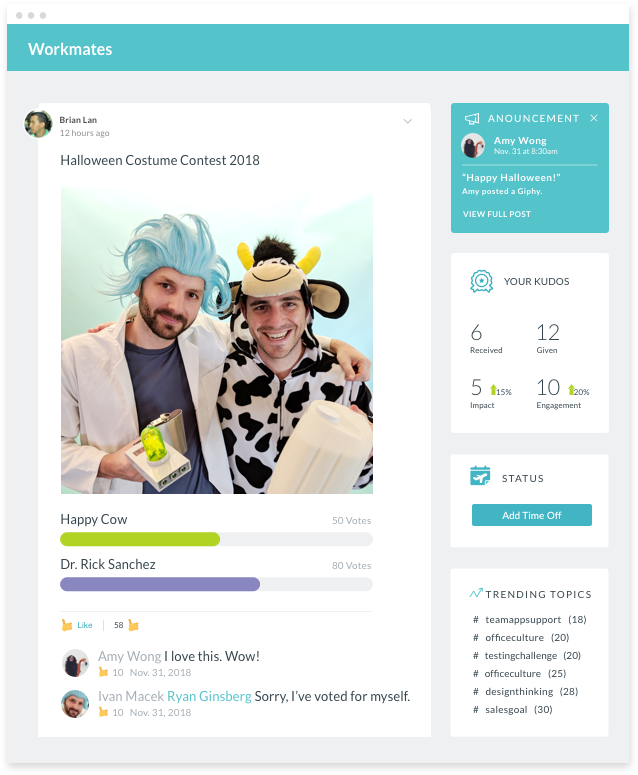 Then share accomplishments and milestones with the whole team with automated birthday, anniversary, and new hire posts. Annual performance reviews that reprimand employees don’t work. Our employee recognition software solution encourages constant, incremental positive feedback so employees can steer themselves towards success. 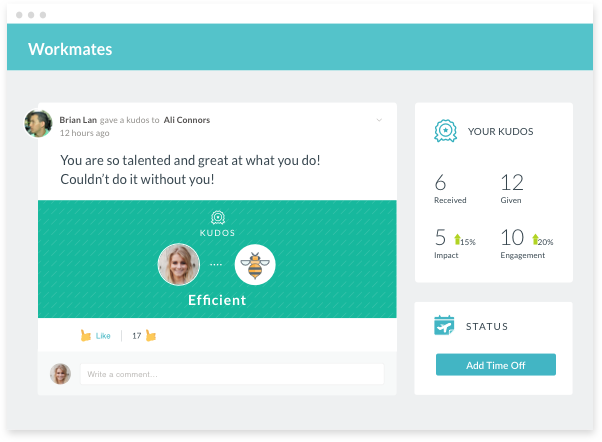 Employees and managers alike can give shout-outs to each other for work well done, or rack up points for the leaderboard—so you can gamify goals and create buzz around improving employee performance like no other internal communication platform. We’ve loaded Workmates with employee engagement tools to communicate while having a little fun. 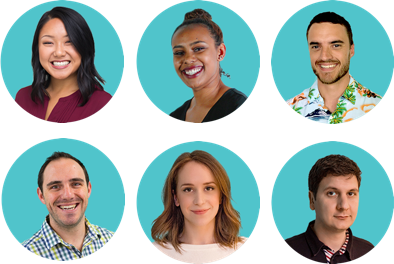 Whether it’s with a post from the CEO, fun GIFs about a company inside joke, or interactive surveys, our office communication software makes company announcements loud and clear so even the most remote worker feels like part of the team. As far as what this product has done for our company, we went from zero process to a streamlined, efficient, organized onboarding experience for our new hires which receives rave reviews from our managers and new employees. As a company dedicated to employee experience and employer of choice status, this was in our top 2 initiatives of 2018 and well worth the investment! Onboard is just the beginning. Our powerful suite of onboard software helps with every step of the employee cycle and integrates with all of your favorite third party tools. Recruitment, applicant tracking, performance management, payroll, background checks--HR Cloud has got hiring covered. Explore the integrations here, and experience what your HR workflow should look like. Chat with an HR Process Consultant for free today! Have question on how HR Cloud can help streamline your administrative processes? Sign up to speak to a real human and HR technology expert, who'd love to chat!